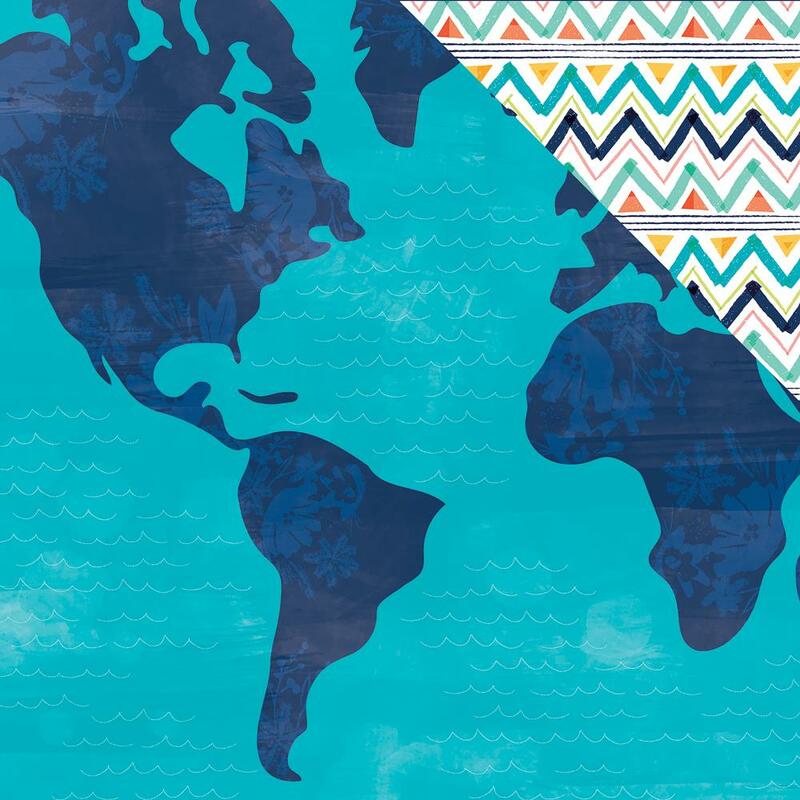 This 12x12 double sided paper has an Image representing a World Map on the frontside. The reverse side has a large Tribal / Chevron Pattern. Part of the All People All Nations Collection by Illustrated Faith. Look for coordinating Tags, Ephemera Die Cuts and selected Designer Papers.